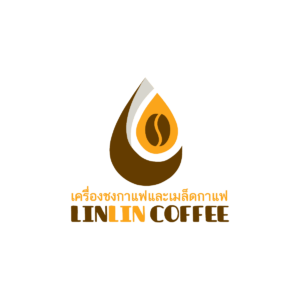 Welcome to LinLin Coffee Equipment, the leading supplier of anything and everything related to coffee makers, grinder machines and accessories! We’re an established coffee machines and accessories distributor in Bangkok, Thailand and serve both residential and corporate clients. We provide some of the greatest deals on coffee products and pride ourselves in maintaining a 99% customer satisfaction rate! Whether you need a new coffee pot for your kitchen or need coffee beans for your cafe/restaurant; we have the ability to fulfill and delivery any products (in any quantity) to your destination through the mail with next-day shipping available on most orders. Dozens of cafes from around the ASEAN depend on our coffee bean supply as we only sell freshly roasted coffee beans so both you (and your customers) drink only the best! With over 50 unique varieties of coffee beans available and imported from various countries such as South America, Africa and Asia, you’ll be presented with the opportunity to choose from a diverse selection of coffee beans from nearly any part of the world. Regardless of your needs, we’re here to be your full-time supplier of coffee beans, coffee makers and accessories and our distribution center is capable of fulfilling the needs of any cafe/restaurant regardless of how small or large your ordering needs are. What separates us from the rest is that we go above and beyond to provide our customers with a great experience and this starts by us ensuring that you receive exactly what you’re looking for. This is one of the reasons that if you choose an item that we do not currently have in stock at our center, we will still put in an order for you for that specific item to have it shipped from one of our other international distribution centers. If you want it, we’ll get it for you and this is our promise to all past, current and new customers of our large coffee product inventory. We make Coffee shopping easy! Every week, on our home page, you’ll see the “Best Seller” section which is an area that we provide to show you some of the best trending deals that we currently have running. This is done to help you save money and to help you quickly find the product(s) you’re looking for. We understand time is important so our goal is to provide a shopping experience that gets you what you want when you want it and this is the reason we provide next-day shipping options on most orders. In total, we provide over 70 unique products across 4 different product categories including Coffee Makers, Coffee Roasting Machines, Coffee Accessories and Tea products. Many customers enjoy the variety of tea products that we carry as the types of tea we have in our inventory aren’t always available elsewhere. Your café is your livelihood and is what allows you to provide your customers with an exceptional experience. Part of delivering a satisfactory experience is having the coffee products in stock but it’s also about having “quality” products available. If you want the best for you café and are seeking a reliable coffee bean/accessory distributor that you can be dependent on then we’re the solution for you! We currently support the inventory of many cafes globally and never fulfill orders late. We understand that you’re on a schedule and that your inventory replenishment is important for the operations of your café. It’s our promise to you that if you choose us as your coffee bean supplier for your commercial needs that we will always be there to deliver your order “on time” so delays will never need to be something to be concerned about. We were founded as a group of passionate coffee connoisseurs who delved in to the coffee distribution market to provide service that traditionally wasn’t available. Our mission is to carry high-quality products at affordable prices while also ensuring that shipments are always received on time. We believe that all coffee-lovers such as ourselves should have access to only the best coffee equipment and coffee beans and we’ve accomplished this by carrying only the finest and highest of quality coffee products. Getting in touch with us directly for product related questions or for bulk fulfillment inquiries couldn’t be easier as we provide many methods of contact for your convenience. We’re available to be contacted at 063-419-1569 (Thai, English). We’re also available on the LINE App (Our LINE ID is lin-chom).